The new controller also features a remote three button pad located right at your fingertips so you can make all of your ajustments without having to move your hands. 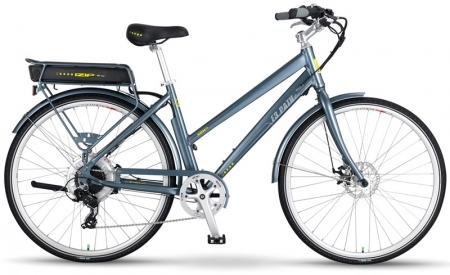 With normal pedaling you can ride from 40-56 km on a single chage and reach speeds up to 32 km/per hour on power alone.The 48 volt removable lithium battery comes with a remote charger which allows you to cahge the battery onor off the bike. Shimano Altus rear derailer withMicroshift trigger.